A third iteration of the "Shattered Backboard" Air Jordan 1 is reportedly slated to launch this Fall. 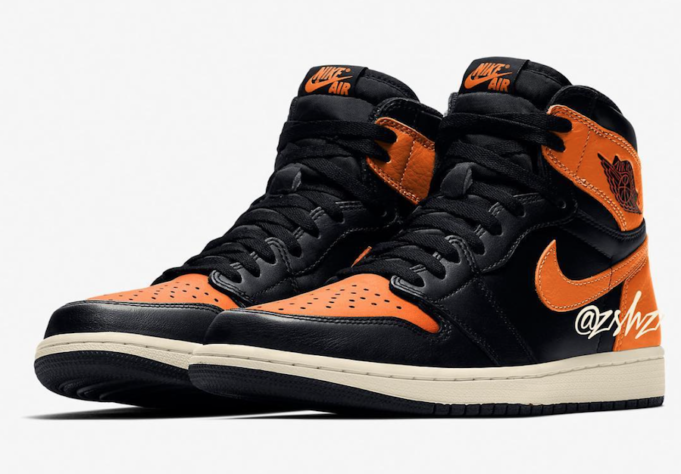 Similar to the original Air Jordan 1 "Shattered Backboard" and the "Shattered "Away" rendition that came after it, the kicks are built on an orange and black color scheme. Images of the "Shattered Backboard 3.0" have not yet surfaced, but it is believed they'll resemble the mockup shown above. The colorway is reportedly listed as "Black, Pale Vanilla and Starfish Orange." According to sneaker source @Zsneakerheadz, the kicks are slated to drop on October 26 for the retail price of $160.